In English writing we seldom speak of tradition, though we occasionally apply its name in deploring its absence. 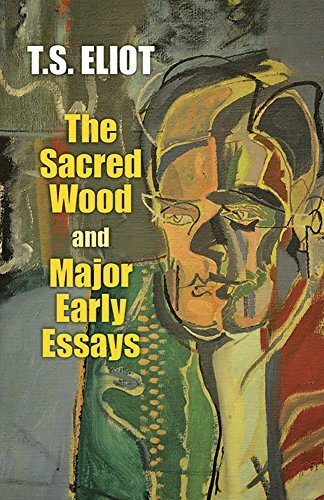 We cannot refer to “the tradition” or to “a tradition”; at most, we employ the adjective in saying that the poetry of So-and-so is “traditional” or even “too traditional.” Seldom, perhaps, does the word appear except in a phrase of censure. If otherwise, it is vaguely approbative, with the implication, as to the work approved, of some pleasing archæological reconstruction. You can hardly make the word agreeable to English ears without this comfortable reference to the reassuring science of archæology. “No poet, no artist of any art, has his complete meaning alone. His significance, his appreciation is the appreciation of his relation to the dead poets and artists. You cannot value him alone; you must set him, for contrast and comparison, among the dead” . The theme Pirandello's Six Characters in Search of an Author has been weaved into film a number of times: the Lickerish Quartet by Metzger, Pasolini's Teorema. Francois Ozon's Sitcom is said to be based on Teorema.